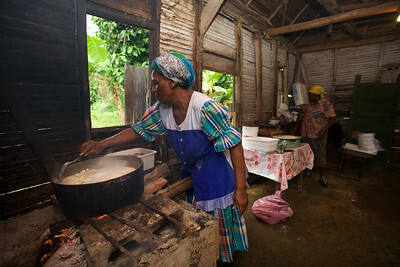 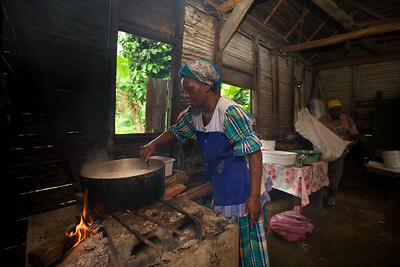 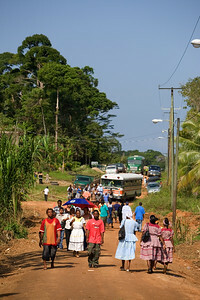 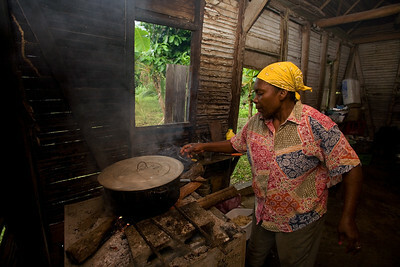 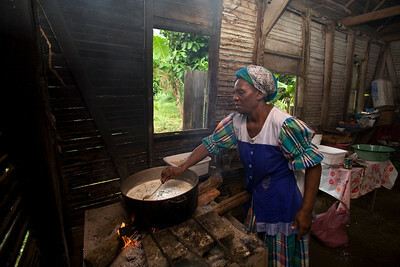 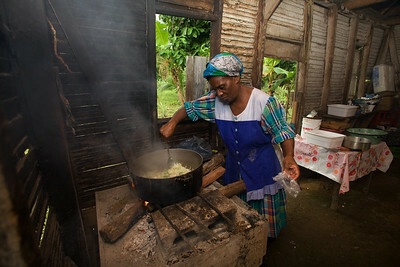 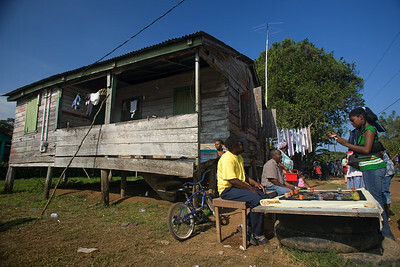 Barranco Village, southern most garifuna village in Belize, located in Toledo. 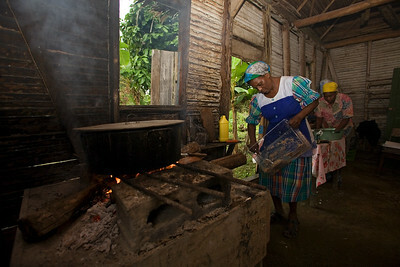 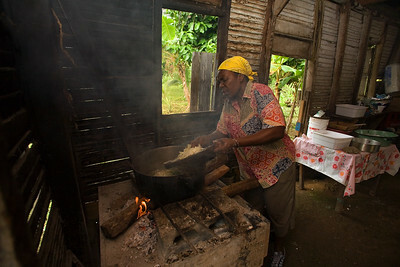 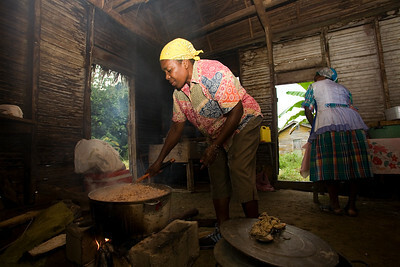 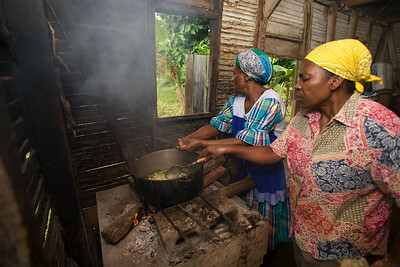 Women cooking darasa and rice and beans on open fire hearth in a small thatched kitchen in Barranco Village, Toledo, Belize. 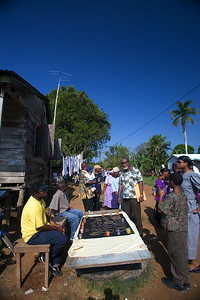 Vendor on the corner street selling jewelry in Barranco Village, Toledo, Belize. 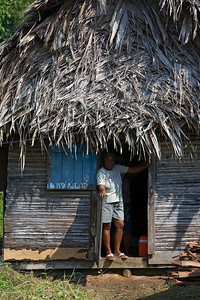 Woman standing at her door in old wooden thatch house, Barranco Village, Toledo, Belize. 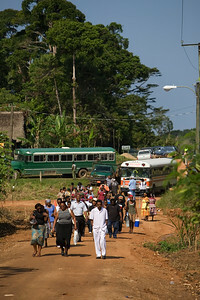 People coming by the bus loads for the funeral of local musician Andy Palacio, in Barranco Village, Toledo, Belize. 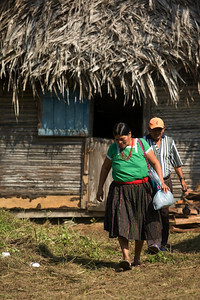 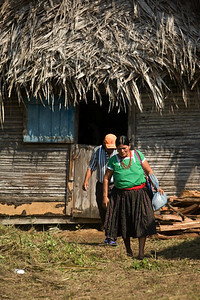 Mayan couple leaving old wooden thatch home in Barranco Village, Toledo.